Corrupt thief Edgar Lungu has asked his agents in his third term bid to attack one of the constitutional court judges Hilda Chibomba. Through Dan Pule, Wright Musona and other caricatures he is paying to push his illegal, term term bid, Lungu wants the president of the Constitutional court to recuse herself, that is, stop hearing the case. According to Lungu, judge Chibomba shares lawyers with the UPND and so ate must recuse herself. There about 700 practicing lawyers in Zambia against a population of 15 million so the chances of two or 1000 people sharing one lawyer should really not be an issue because there is no connection in cases. 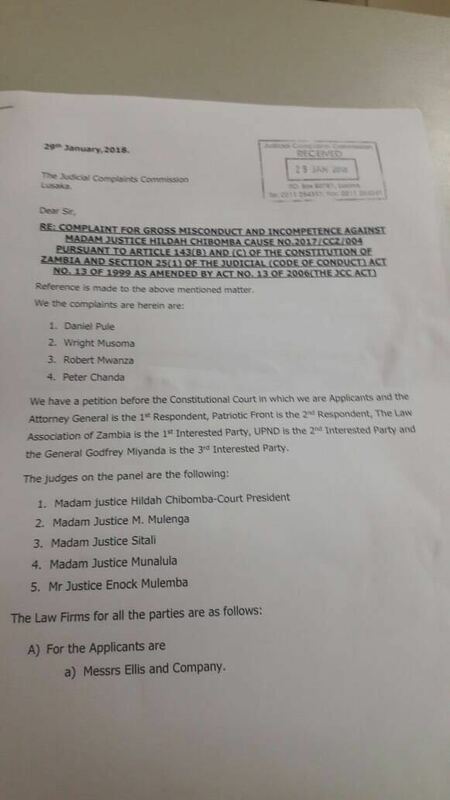 If the other party checked, they will discover that Lungu also shares lawyers with a lot of other judges.